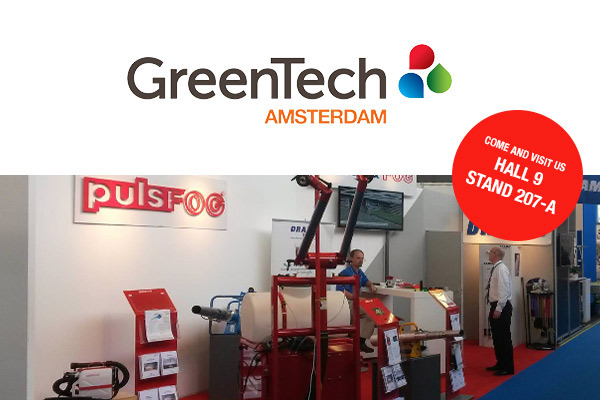 pulsFOG will be exhibiting at GreenTech Amsterdam for the large biennial exhibition being held 14-16 June, 2016. GreenTech is the global meeting place for all professionals involved in horticulture technology in RAI Amsterdam, the Netherlands and focuses on the early stages of the horticulture chain and production issues relevant to growers. The 2016 exhibition features over 360 international exhibitors, including all the market leaders, in four connected themes: Crops, Water, Energy and Biobased, a Vertical Farming Pavilion and Demo Area for heavy equipment and machinery. pulsFOG will be showcasing our entire product line and the latest pulsFOG technologies at GreenTech. We’ve partnered up with our friends at DRAMM Corporation in Hall 9, Stand no. 207-A so be sure to look for us if you are going to be at the show. If you are interested in attending and haven’t organized your tickets yet, make sure to register online before 14 June. This year, online registration for GreenTech 2016 is free of charge. If you choose to register onsite at the exhibition you will be charged a registration fee of € 70.00, so make sure to email us so we can provide you with a free registration code and save €€! We always love visits from our loyal customers, clients, friends and fans at the trade show so please email us at info@pulsfog.com set an time to visit us at our booth. Or feel free to just stop by to say “Goedemorgen” or “Goedemiddag”!